MELBOURNE, Fla. (AP) — A Florida man is in jail after law authorities said he threw a samurai sword at deputies responding to a domestic disturbance call. Brevard County Sheriff’s deputies were responding to a 911 call Wednesday from a woman who said her son was threatening her with a pair of swords. 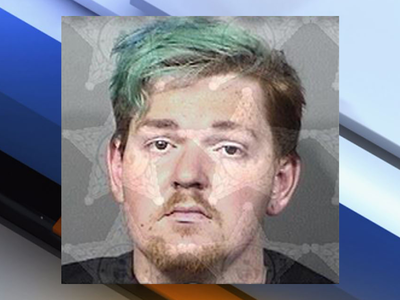 Florida Today reports when deputies arrived, they found 24-year-old Geoffrey Crane holding the samurai swords and he refused to put them down. Investigators say Crane then threw one of the swords at the deputies. A stun gun was used to subdue Crane, who had a blood alcohol content of .36. The legal limit to drive is .08. Crane faces several charges, including domestic abuse and aggravated assault on a law enforcement officer. He was still being held in Brevard County jail on Saturday. Jail records didn’t say if he has a lawyer.